Home Headlines Mourinho £91m Man Utd Bid for Serie A Defender? ​Manchester United manager Jose Mourinho has refused to discuss rumours linking him with a move for Napoli star Kalidou Koulibaly, neither confirming nor denying reports of a £91m bid. United were heavily linked with a number of centre-backs during the summer, with the likes of Jerome Boateng, Diego Godin and Harry Maguire all reportedly targeted by the Red Devils. The club failed to strengthen in the position, but Mourinho has made no secret of his desire to sign a new defender in the immediate future. Speaking after ​United’s 2-2 draw with ​Southampton on Saturday, Mourinho refused to discuss the rumours of a £91m bid for the Senegalese defender. He is quoted by the ​Manchester Evening News as saying: “I cannot answer to your question. In October. reports from Italy emerged suggesting that ​Napoli have rejected an offer of around £80m for Koulibaly, with the club said to be holding out for an offer of at least twice that value. ​Real Madrid and ​Barcelona were both linked with the defender, and the likes of ​Chelsea and ​Arsenal have also been touted as potential suitors for Koulibaly in the past. Since joining Napoli in a £7m deal in 2014, Koulibaly has developed into one of the world’s finest defenders. He was a key player under former manager Maurizio Sarri, using his unique blend of physicality and technical ability to assert himself as an elite defender. During the summer, there were rumours that Koulibaly would follow Sarri to Chelsea, but he remained in Naples. 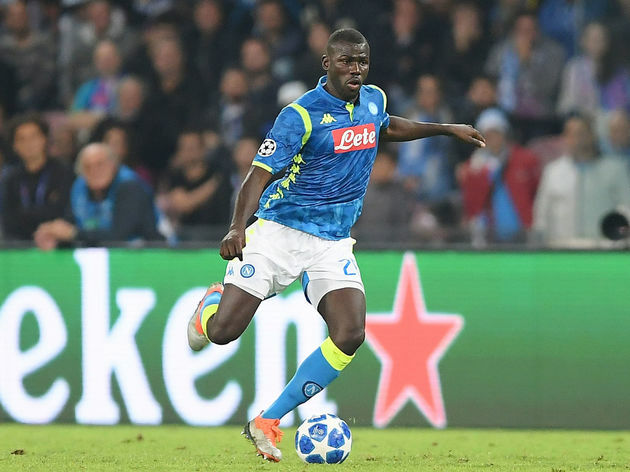 He has played every minute of Carlo Ancelotti’s young reign at Napoli, helping the Partenopei to second in ​Serie A. Koulibaly has also been a vital player for the side in the Champions League, guiding Napoli to positive results against both ​Liverpool and Paris Saint-Germain. Wenger needs to decide soon!